We all know drivers are the industry’s most valuable asset and they are literally on the front line every day. They deal with the ever-changing day-to-day challenges on the road and increasing regulation. The ongoing driver shortage is amplifying the driver retention issue for carriers. It’s forcing the industry to focus on supplying drivers the tools to improve efficiency and, in turn, potentially earn more, as well as make personal choices on the road for job satisfaction. 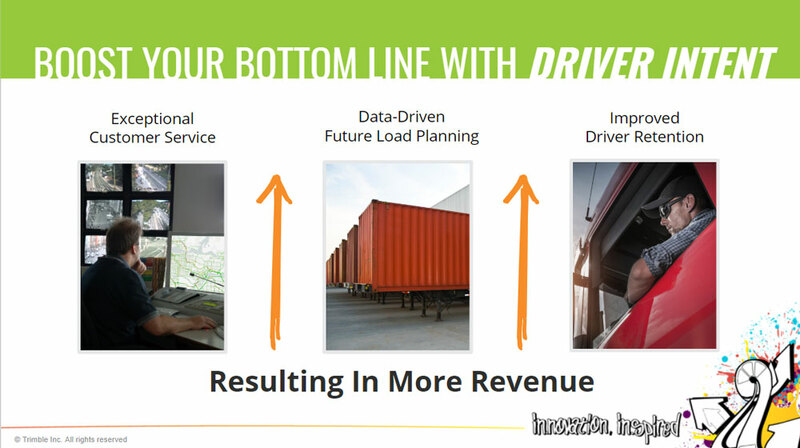 And it goes beyond just giving the driver the tools - it’s important to connect the back office with those driver tools to ensure that fleets are working with the most accurate information and insight. 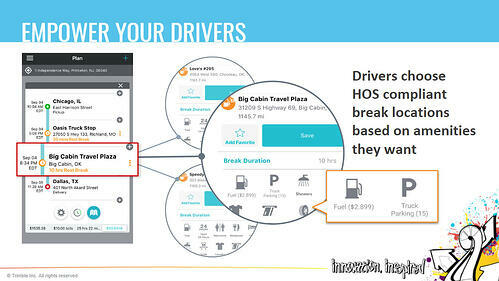 For example, let’s say a driver prefers to stop at their favorite rest area for their HOS break because they can see that parking and showers are available. Once the driver chooses that break time and location, the initial planned ETA will be impacted which will affect them meeting the delivery time. 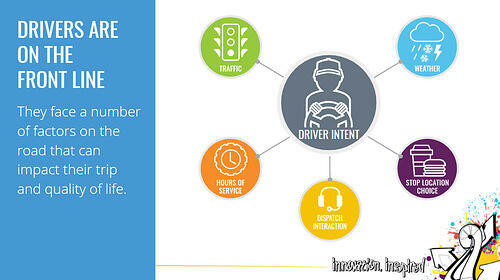 By giving the back office visibility into this “driver intent,” dispatchers will have the accurate information and load status to ensure they’re providing the best possible customer service and know when they can book their driver’s next load. Plus, they’ve empowered their drivers with a tool that helps them meet their deadline, avoid service failure and maximize their HOS. That leads to more miles, more money and happier drivers. It’s a win-win for the driver and fleet! This unique, dynamic technology that connects driver intent to the back office was recently integrated into Trimble Transportation’s Driver Trip Planning module for their TruETA solution. 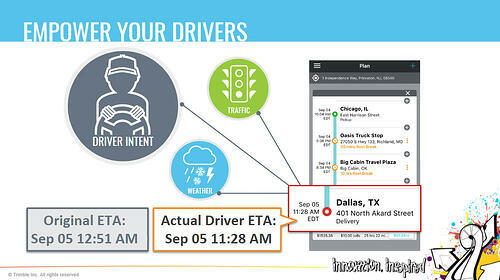 Driver intent information is captured through the TMWGo! App and sent back to dispatch, providing a more accurate ETA. The TruETA solution takes advantage of ALK's full suite of Trip Management services. Services include PC*MILER industry standard routing, which takes into account traffic and driver-selected, route-specific hours of service breaks, as well as ALK Maps visualization of live traffic flow and current weather conditions, including radar, cloud cover, weather alerts, road surface conditions and geo-fence alerting capabilities. Check out Trimble Transportation’s full press release.